Tibetan Rosesandalwood Sterling Silver Mala Bracelet. 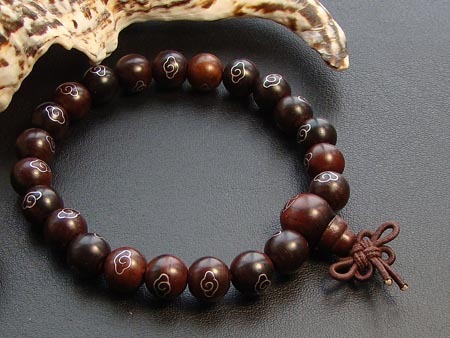 It was handmade by the Tibetan Craftsmen from Indian rosesandalwood and sterling silver. Beads size: 8mm.